Metal oxide fuels are most commonly used in fission reactors. While UO2-based fuels are the most common fuel used for commercial nuclear energy generation, ThO2-based fuels are promising for their intrinsic proliferation resistance and greater thoria abundance. In this presentation, I will discuss both urania and thoria fuels. Computational methods are successfully used to characterize bulk properties, defect dynamics, irradiation process, etc, for nuclear materials. Using atomistic simulations (molecular dynamics, kinetic monte carlo), I’ll present the a) effect of fission products on UO2, b) the arrangement of oxygen interstitials in hyper-stoichiometric urania (UO2+x), c) the development of atomic interactions to investigate ThO2, and d) properties of mixed ThO2-UO2 fuel. These fundamental understanding from atomistic simulations can be used in fuel performance codes to estimate the microstructural evolution of oxide nuclear fuels during operation. Dr. Rakesh Kumar Behera joined the GWW School of Mechanical Engineering as a Post-doctoral Fellow under Prof. Deo in August 2010. 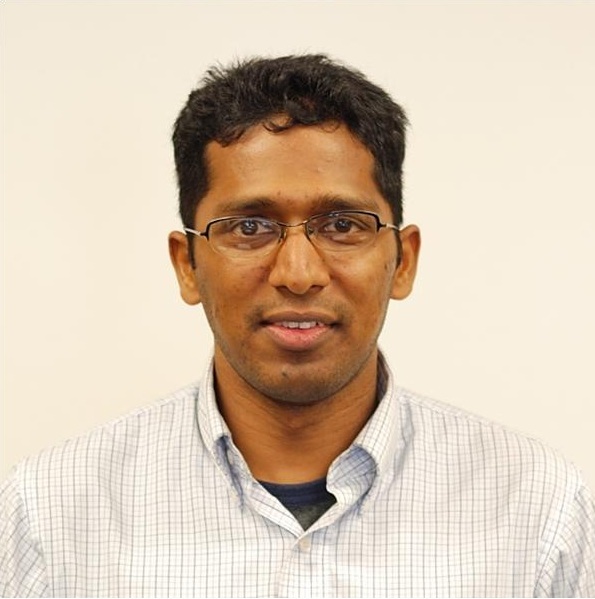 His expertise is in the field of computational materials science, and encompasses both first-principles and atomistic modeling of materials. Currently he is working towards developing atomistic models to describe properties of Urania- and Thoria-based fuels. Dr. Behera received M.S. and Ph.D. in Materials Science and Engineering from the University of Florida, Gainesville. He also received an M.S. degree in Mechanical Engineering from the Louisiana State University, Baton Rouge.